We need to consider the world "through their eyes", says veterinarian Karen Dawson. Greyhound racing has been in the media lately, thanks to a greyhound racing ban which was implemented then later withdrawn by the Government. The ban was spurred by a Special Commission of Inquiry into the Greyhound Racing Industry of New South Wales (you can read a fact sheet here) . Following the Government’s ban reversal, with Industry guaranteeing a radical overhaul, the NSW Greyhound Industry Reform Panel has made 122 recommendations (you can read these here). Welfare problems highlighted by the special commission and addressed by the Greyhound Industry Reform Panel include, among others, wastage of dogs that were unable to race, or retired from racing. There is an argument that rehoming all or as many of these dogs as possible will minimise wastage and improve the welfare of rehomed dogs. That’s if we assess the success of rehoming only according to the number of dogs rehomed, at present still a mere fraction of those produced by the industry. But there are other issues to consider. These were raised in a presentation by Dr Karen Dawson, a veterinarian with memberships in behaviour who works extensively with greyhounds, and founded the Pet Behaviour Clinic. Her presentation, “Through their eyes – helping pet greyhounds adjust to life as a pet”, raised some tricky questions that no doubt will generate emotive responses. But they are worth considering. There has been a huge effort on the part of greyhound rehoming organisations to promote greyhound adoption. These organisations do incredible work in rehabilitating, training and selecting dogs. But they can’t rehome every racing greyhound. Their numbers currently outweigh capacity of rehoming organisations. Another factor is that some greyhounds don’t cope with rehoming. Successful rehoming of animals is not just about numbers rehomed, but the quality of life of rehomed dogs. Rehoming has the potential to compromise the welfare of adopted dogs and their families. 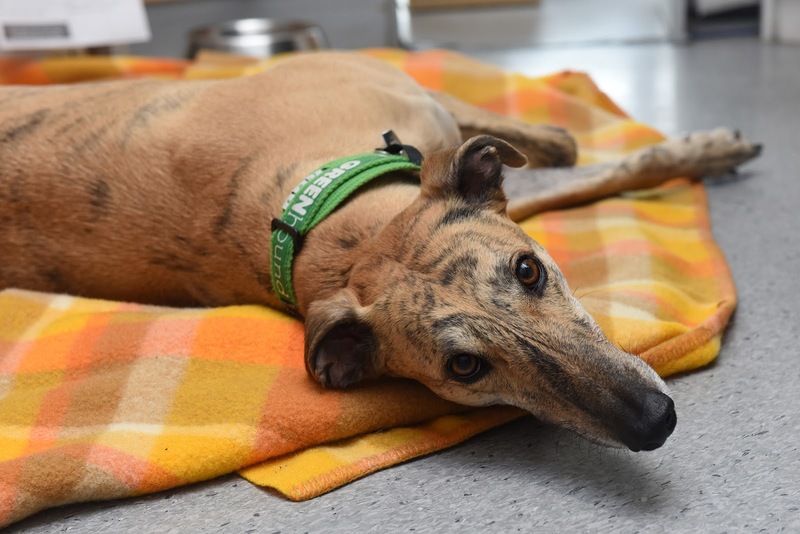 The key point is that, in order to be safe pets who are able to enjoy good welfare, there need to be substantial changes to the way greyhounds are cared for at all of their life stages - not just once they enter a rehoming program. As Dr Dawson said, the process of creating an animal that has good mental health starts in utero, not at retirement. Chronic kennel stress can expose foetal puppies to stress hormones – we need to consider the stress of the dam as well. She acknowledged that industry and Government are taking steps to address these concerns but it will require substantial commitment. Dr Dawson pointed out that rehoming is stressful for any dog and the aim of preventative behavioural medicine is to reduce this occurring, to maintain the animal-family bond. She added that sometimes our expectations of any rehomed animal can be unreasonable, i.e. we expect these dogs to assimilate uneventfully into our environments and routines, much of which may be novel to them. Research has shown that the more similar the rearing environment is to the domestic environment that a dog will live in, the more emotionally stable that dog will be as an adult. Greyhounds are routinely reared in paddocks, yet often marketed as perfect unit dwelling pets. Greyhounds have a traditionally passive coping style, that is they will freeze or be inhibited when frightened. This can be misinterpreted as good welfare by some; it certainly can make them apparently easier to live and work with. But if the strategy fails, they may ultimately choose another coping strategy. The important point is that we might assume their welfare is neutral or okay when they are not. Behaviour problems seen in greyhounds are generally based around fear and anxiety. Another problem behaviour is predatory behaviour, which is exacerbated by the illegal practice of live-baiting. It’s not an issue of simply throwing more money at rehoming efforts. Some fearful dogs may never fully overcome this anxiety. Dr Dawson recommends referral to a veterinary behaviour specialist or veterinary behavioural consultant sooner rather than later. Exposing dogs to what they’re fearful of does compromise their welfare and can worsen fear. The advice behaviour vets are giving dogs with fear and anxiety is now make the dogs world smaller, not bigger. Reduce exposure to those triggers. For some dogs, being kept in a protected and predictable environment is the best thing for their welfare. To benefit from socialisation, animals must be in a positive emotional state. There is a fine line between socialisation and sensitisation. If early socialisation is not carried out, or process is inappropriate, by 14-20 weeks dogs are likely to be neophobic, fearful, anxious, show a lack of plasticity in responses and have difficulty learning. Socialisation is not, as many understand it, a treatment for anxiety, fear or aggression. Dr Dawson added that greyhounds are not the only breed to suffer inappropriate socialisation. (I have personally seen a number of poorly socialised dogs that have come from a puppy-farm background with severe behaviour problems). Greyhounds when they go from a racing to domestic environment, they are exposed to a huge range of novel stimuli. Even for those dogs that are emotionally resilient, it can be challenging. Simply exposing greyhounds to “everything” can be potentially harmful. Many greyhounds are reared in outdoor paddocks in rural areas, with little human contact, no structured socialisation and minimal exposure to novel stimuli. This can lead to fear and neophobia. Many of these dogs are not lead trained before 6-12 months. They may be less socialised that regular puppies, and may have not seen a domestic environment. Reducing kennel stress has been a major aim of animal shelters for years as we know that the mental wellbeing of dog declines with increasing length of kennelling. Dr Dawson said that we need to remember that greyhounds are often kennelled for prolonged period and this also needs to be addressed. Dr Dawson is concerned that compulsory attempts to rehome every greyhound could have negative welfare impacts for the above reasons. Can anxious, fearful or predatory dogs (and their owners) experience good welfare and a good quality of life? Does the zeal to find dogs homes inadvertently compromise their welfare? Do we expect too much from them, with their earlier experiences and inappropriate marketing setting them up for failure? She concludes that while it is important to find good homes for greyhounds, it is more important at this point in time to ensure that the right dogs find the right homes, and that welfare policy should have a focus on building emotional resilience in greyhounds so they can have a life worth living at every stage.